We’re finally getting close to the end. I must say that although it has been fun, I’m looking forward to the end. Maybe because I’m thrilled to have an app in the store; or maybe because the long nights and weekends are getting to me; or maybe both. Not sure why, but I’ll be glad when it’s over. 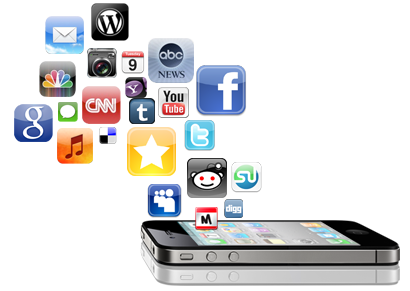 My last post talked about the importance of marketing your app and not relying on the app store to get the word out. Today we’ll talk about taking your app on the road and engaging others for the first time with your app …all in the name of testing it. Whether you are developing for iOS (as I am), Android, windows8, or BlackBerry, there are a number of variants that you need to test. 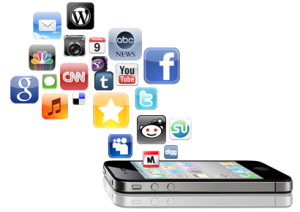 On the iOS platform you have iPhone, iPod Touch, iPad and various generations of each device and the OS. At the outset you have to select which combination of devices and operating systems you want your app to run on; this defines the device section of your test plan. For my app, I narrowed the field down to iPhone and iPod Touch (fourth and fifth generations), running OS 6.x. With Apple cranking out new devices and new operating systems frequently AND (by witnessing lineups at Apple stores on launch days) users upgrading to have the latest, I figured that my narrow field is a significant enough market for me to tackle. Android, on the other hand, is different. Many versions of Android are still in play today, which makes the testing a more difficult and longer process. For the past four months I’ve been testing my app. I take my iPod Touch with me everywhere and when the moment presents itself, I use the app. But you need more than just you, as developer, marketer, and chief cook and bottle washer, to test your app. I found a great site to help in distributing apps (iOS and Android) called TestFlight. With Apple you still need to go through the process of creating distribution profiles, but instead of emailing the app and the profile, TestFlight takes care of that. It makes it very easy for your testers to get your app onto their devices over the air (OTA). I’m glad I went down this road to get the app on as many devices as possible. You end up doing a lot of early testing with the iOS simulator, then your next phase of testing is with your device connected to your Mac. You have to go through a third phase of testing and that is to distribute your app to devices. There was a bug in my app that only showed up when it ran on a device as a result of OTA distribution. Strange but true. All of the app development blog sites and Apple’s developer guidelines recommend testing and then more testing. I agree with that 100 per cent. Take the time and test, test, test. So what is my app? I love wine. I love drinking wine, sharing wine, learning about wine, pairing wine, talking about wine, finding that exquisite bottle. I’m also an Evernote junky, like the millions of others out there. Last year I searched high and low for an app that would record my wine moments in Evernote. Yes, I could have taken a picture with Evernote and added details, but frankly I tried that and found that process too cumbersome. I wanted something light, simple, foolproof, focused on the task that would save in Evernote and share on Facebook and Twitter. It didn’t exist. There are many wine apps in the iTunes app store (search on wine and you’ll see). They all seem to focus on the wine — picture of the label, varietal, producer, vintage and so forth. But I didn’t see any that focused on the wine moment. That moment when you share a bottle with friends or your sweetie over an awesome meal at home, at the cottage or at a restaurant. With the myFabWines app you can record who you’re with, the place you’re consuming the wine, rate it and add notes, along with a picture of the label and the wine’s details. Then you can save all of that to Evernote and share on Facebook and Twitter. Next post will be the last in this series. myFabWines is currently in the hands of Apple’s review committee. I will reveal the results of the Apple review and also summarize this journey.